We will make your ordering experience quick, easy and pleasant. Know that at any time during open hours the staff at Golf Balls Galore can be contacted (email or phone) and we will help you through the process. We are committed to getting you what you want, when you want it at the most competitive prices on the Web! Something you should know! 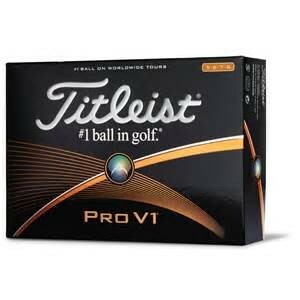 Golf Balls Galore works with the major ball manufacturers to produce your logo balls. Most Custom Logo sites offer aftermarket logos, in other words they purchase the balls and print logos on them at their store. We feel that the logos and service offered through the ball companies produces a much clearer imprint and one that lasts far longer. We will only deliver the best product to promote your business. Golf Balls Galore does not charge setup charges for logo golf balls. Artwork Your logo is the brand of your business and it is of ultimate importance that the presentation is perfect. Located on each Logo web page is an “Upload your Image” area that allows you to browse your images and select the perfect one for your logo. Vector art is preferred but in pixel based art a resolution of at least 300 dpi is necessary. Again, a quick call for assistance! Logos are oriented on golf balls in one of two ways. Either Standard (logo flows / reads with alignment tool) or if chosen ACL (logo flows / reads with ball name).